Pre-Grand Opening Parts Party this Weekend! Come to our first public event this Sunday! 1525 Newton St NW, (located within the St Stephen & Incarnation Church). Cost: FREE, but please bring a tool/furniture/electronic scrap to donate! Why: We started HacDC to give the Washington DC area a place to make, build, disassemble, code, learn and do all the awesome things you can do in a “hacker space”. Like nycresistor.com in New York and thehacktory.org in Philly, DC now has its own collaboration and creative space, HacDC! However, we can’t do it without your support. We rely on you! Enjoy the party! Dissassemble something! Learn how to pick and secure your own locks! Throw a demo of your own making. We’re also looking for charter members, people who are dedicated to building a stronger DIY/Hacker community in DC. 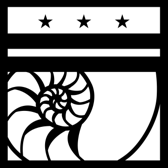 We are a non-profit DC organization seeking 501(c)(3) status, and all of our work goes directly back into the community through educational, scientific and cultural channels.